Collaboration is striven for, but it’s difficult to achieve. Collaboration can achieve increased impact through working and learning together, as this allows for the stretching of limited resources for maximum results. It’s hard, however, to strike just the right balance that elevates relationships out of unhealthy competition, strengthens stakeholders’ resolve to meet end goals and enhances impact. In May, BRIDGE’s CEO －Barbara Dale-Jones － took part in a panel discussion at the annual Trialogue conference. The focus of the panel discussion was on Collaboration in education. On. Panelists included Lindiwe Temba (Nedbank), Godwin Khosa (NECT) and Andile Dube (Zenex Foundation). In the wake of the panel discussion, Andile and Barbara ran a breakout session on the art of collaboration. Andile shared lessons from Zenex about their experience of building and maintaining key partnerships, while Barbara shared a collaboration framework. 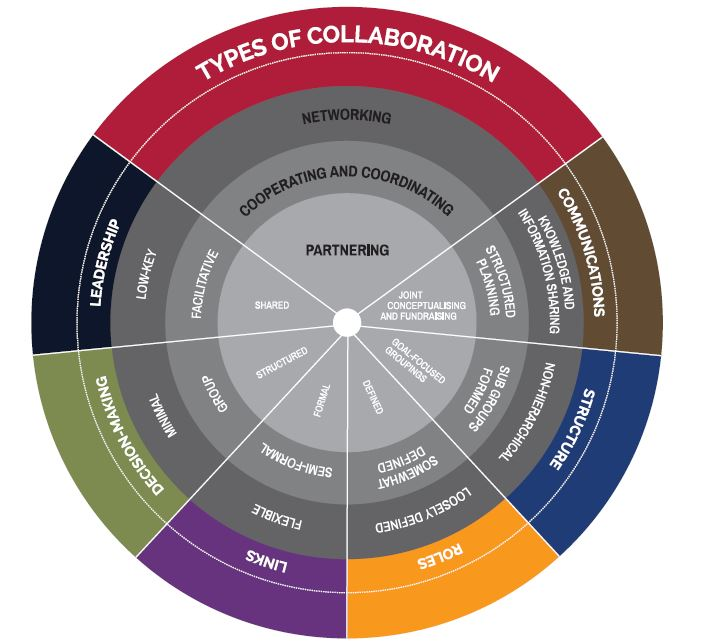 She made the point that there are different types and levels of collaboration – a light version involves networking and knowledge sharing and, as collaborations intensify, they entail more intense co-operation and then partnering. Those attending the breakaway session discussed the steps they can take, going forward, to ensure collaboration amongst their organisations. One inspired suggestion made by a participant was that all organisations should include collaboration in their strategic plans. For more information about collaboration, and for a detailed donor collaboration report written by BRIDGE and the Zenex Foundation, see http://bit.ly/DonorCollab.